Tips Alert: MAKE DRIVING LICENCE IN JUST RS.50. MAKE DRIVING LICENCE IN JUST RS.50. 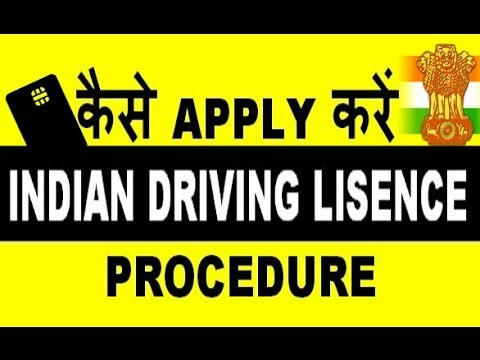 In India, the driving licence is the official document which authorises its holder to operate various types of motor vehicle on highways and some other roads to which the public have access. In various Indian states, they are administered by the Regional Transport Authorities/Offices (RTA/RTO). A driving licence is required in India by any person driving a vehicle on any highway or other road defined in the Motor Vehicles Act, 1988. Applications for a provisional driving licence can be made from the age of 16. Valid for driving a moped or gearless motorcycle (with a capacity of up to 50 cc) from aged 16, and a car from aged 16 or older to drive any other type of vehicle. The common "All India Permit" allows the licensee to drive throughout the country. For driving commercial/transport vehicles, one should obtain endorsement (and a minimum age of 20 years, in some states) in the driving licence to effect under s.3 of The Motor Vehicles Act, 1988. Until a driving test (which consists of three sections: verbal or written test (depending on the state), road sign test followed by a supervised driving examination) has been passed a driver may hold only a provisional licence and be subject to certain conditions.